Halloween Music Collection by Midnight Syndicate. Put on this CD and get ready for some of the creepiest music you will ever hear. Midnight Syndicate is a band that plays nothing but creepy music for Halloween. This CD is sure to send some chills down your spine. Jack-o’-lantern…lanterns. Okay, the name leaves a little to be desired. 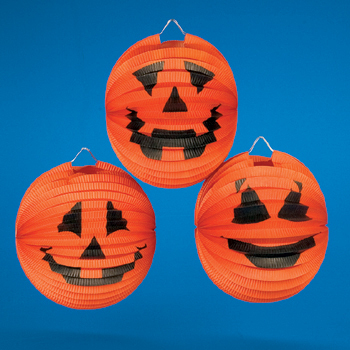 But hey, these paper lanterns are a very easy way to add Halloween flair to your backyard or front porch. They are also practical in that they provide light! How about that? 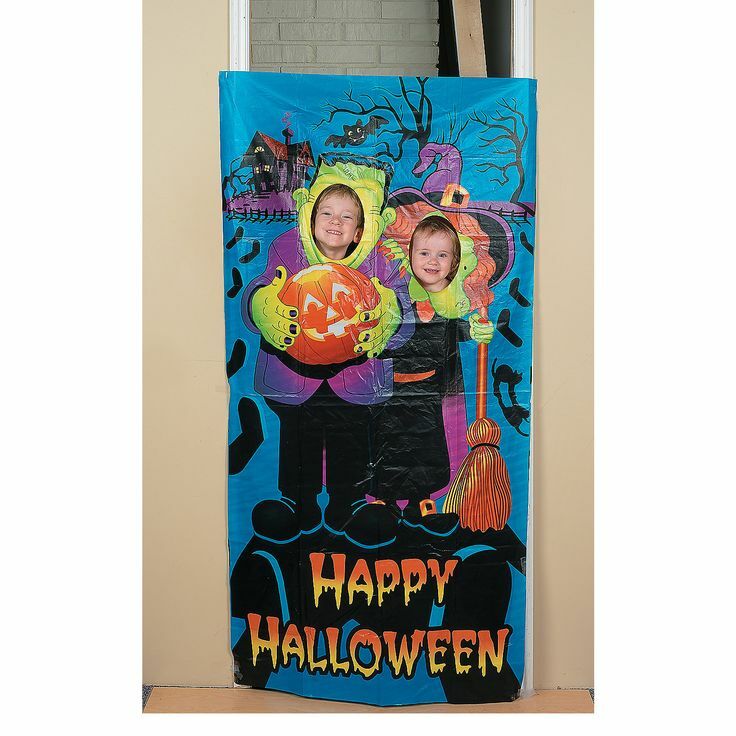 Jack-O’-Lantern Chair Covers. I’m sensing a jack-o’-lantern theme here. Apparently I really like them. 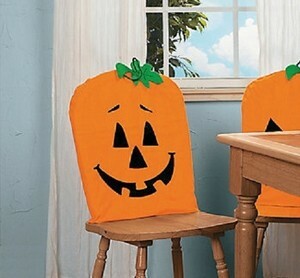 These are a clever way to add some Halloween to your otherwise boring and bare dining room table chairs. Little Monsters Photo Door Banner. What happens every time you go to a fair or theme park and your kids see those wooden cutouts to stick their face in? They run to it every time. And demand lots of pictures to be taken at every single one they encounter. Now you can have one in your own home! Seriously, kids love this and your house will forever be known as the photo house. 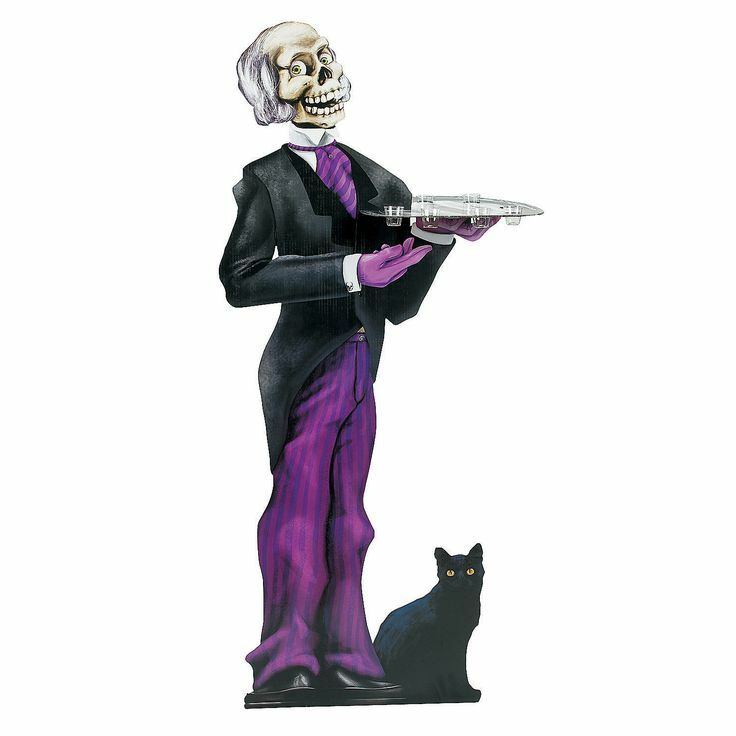 Skeleton Butler with Tray. Place this guy jus outside of your kitchen, bar, or wherever it is you serve your drinks for the party. Place a few drinks on here and you have your own skeleton butler holding drinks for every one. The parents will love having easy access to drinks and the kids will get a kick out of a 5 foot skeleton greeting them (and they can’t reach the drinks). 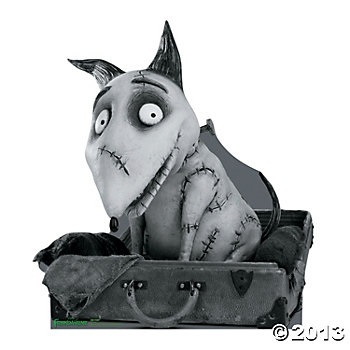 Frankenweenie Stand Up. Okay, I’m putting this one in here because I love Tim Burton and I think this is a great idea. What kid wouldn’t want Sparky to attend his Halloween party? Pingback: 31 Days of Halloween – Day 14 | Crow Arrow, Inc.